If you have a desk job, having a comfortable chair could be the difference between being able to work for hours and having to get up every now and then due to pain. 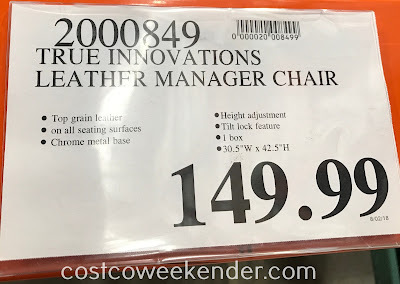 I tested out the True Innovations Leather Manager Chair at my local Costco and it's one comfortable chair. If you'll be sitting down most of the day, you have plenty of things to worry about like the proper placement of your monitor, keyboard, mouse and the correct height of your table relative to your chair. The last thing you need to worry about is your chair. 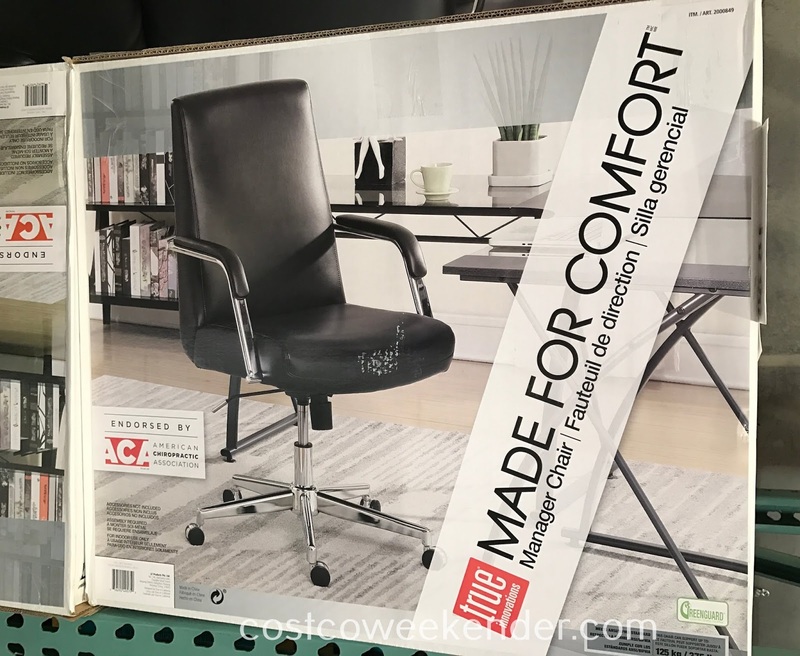 The height adjustment feature so you can fit the chair to suit your needs. You don't have to be in management to enjoy the True Innovations Leather Manager Chair. 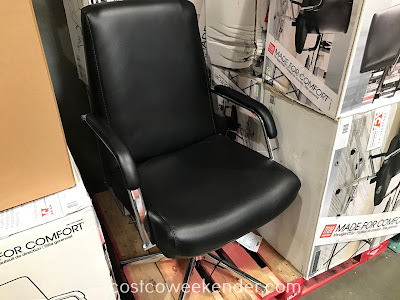 At just under $150, it is a cost-effective way for you to get some important work done while being comfortable at the same time.